When I thought of writing this story, I wanted to write an angry piece. It would be a story about tradition, the inequality of genders within the tradition, and how I thought I could fight and change the tradition. But later on, I realized that this wasn’t the right approach. It is not nice to read an angry piece, is it? So, I’ll try to make it an eloquent piece, hoping that you can understand my position and powerlessness. I was born into a wonderful mixed-marriage home, my father is Balinese and my mother is Dutch. I have one older sister whom I love dearly. We were both born in Jakarta, where my parents worked, and later on moved to Bali. It was important for my father to be close to his family and I believe it was also important for him that we grew up to know his family and its traditions. My father belongs to the highest caste of the Balinese caste system, automatically making my sister and I, firstly Hindus, secondly “Brahmans”. My sister and I had, to my knowledge, a different upbringing than my cousins. We were brought up to put education and ability above all else. Never have I felt not loved or less worthy as a child because I am female. 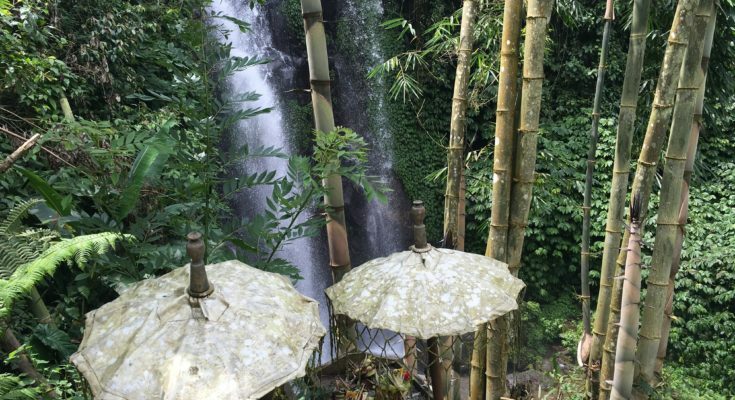 Throughout the years, I learned a lot about Balinese culture. Most importantly, I learned that it has a patrilineal system and only the sons are to bear the family name. I noticed, as I grew older, that my female cousins who come to the family’s semi-annual temple ceremony kept decreasing. They got married and now belong to the family of their spouses. I am now 22 years old and I am aware that most likely I will marry someone outside of my family and eventually say my goodbyes to my extended family and to the family temple. I have known this for quite some time and the thought has not really bothered me. I will someday be identified as my husband’s wife, not my father’s daughter, based on the traditions. However, one event, in November 2015, has struck me and I cannot help but ponder about it. It was my father’s brother’s death. As a Balinese, it is an obligation of the family, in particular the children, to cremate their parents. There are processions to a Balinese cremation, known as the ngaben ceremony. The coffin of the deceased is put in a container (wadah) which has the form of a multistoried tower. In front of it, a line of family members is formed which is led by one person. In this particular ngaben ceremony, the flock of people was led by my cousin, my uncle’s oldest son. On a side note, my uncle has 5 children, of whom the first and last are female, and the 2nd through 4th are male. 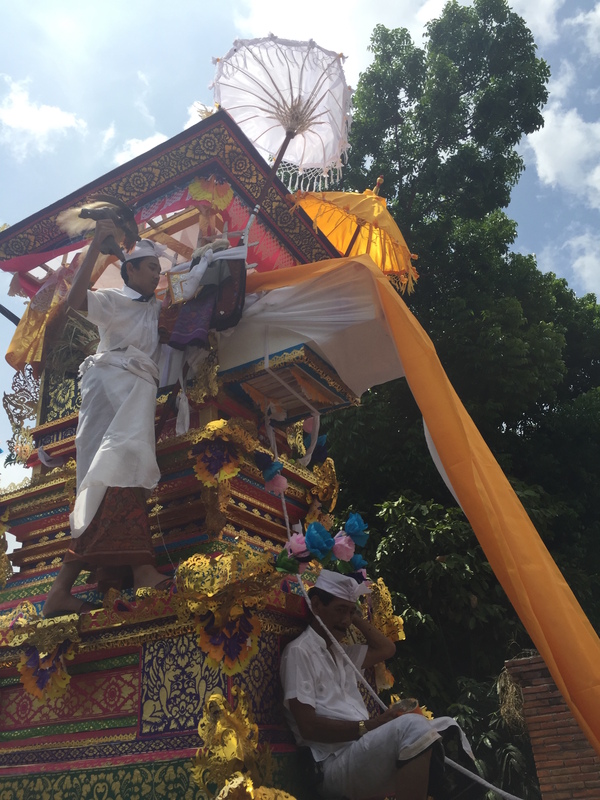 One part of the cremation ceremony is walking from our family home to the cremation area (setra) and back. My cousin, leading, cannot lose concentration, whilst people in the back are chanting mantras and prayers. He is the most important person during this walk. His two brothers are on top of the multistoried wadah, while his sisters join the big flock. This process, of walking from where our family home is to the setra and back is very crucial for the soul of the deceased. It is believed that during this part of the cremation, the soul is given “guidance” to go to nirvana. After reaching the setra, my cousin, who led, had to walk back alone to our family home while his father was being cremated, as it is believed that if he doesn’t, his father’s soul will not be able to find its way home. This is undoubtedly a great responsibility to impose on someone and only men are allowed to bear it. 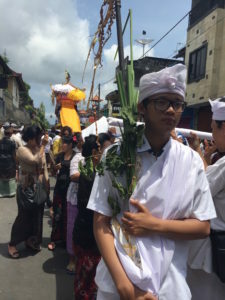 During this procession, I walked the road from our family home to the setra, taking pictures and videos, completely oblivious of what it might mean to me. Only at the setra, it dawned on me. Neither my sister nor I can “guide” my father’s soul, when the time comes. It has to be a male from my father’s family, either one of my cousins or my father’s younger brother. The reasons are clear to me. Firstly, it is because my sister and I are female. Secondly, we will, most likely, marry someone, and possibly with a person outside our caste. Being from the highest caste, such a marriage will make us not only a member of our husband’s family but we will also lose our caste status as Brahmans. Hence, making us lower in status than the family, than our father. So when I came to this realization, I said to an older male cousin of mine, “But who will do it on Papa’s ngaben?”. I can’t help but shed a tear. Trying to calm me, he said “Its okay, one of us will do it”. I put great value on my family and I have faith in my cousins. I know that whoever will be given the responsibility will “guide” my father with good intentions. My father is a very lovely man and he has done a great deal for his nieces and nephews. Yet, it got me thinking, if the purpose of this person is to guide my father’s soul to nirvana, wouldn’t his daughters still be the ones who are most suitable to do it? We are the ones who are brought up by him, have listened to many of his stories and have lived with him throughout the early years of our lives. I’d like to believe that what makes up his very beautiful soul, among other things, are his wisdom, his values, his beliefs, and his way of living. And I also like to believe that it is my sister and I, who are closest to him, who possess a part of his soul. Certainly, a bigger part of it than my cousins will ever have. So, being the business student and (ehm..) money minded person that I am, I thought of how to change this tradition. Knowing that a cremation is one of the most expensive ceremonies in a person’s lifetime, I am determined to earn so much money that I pay for all of it! So, other people in the family cannot have a say regarding the details of my father’s cremation! This seemed like a solid plan to me! But then, I love my family and I love traditions, they are, despite their rigidity, what makes me the person I am today. I wouldn’t want my family to think that I am “buying” the tradition that they, and I, hold dear to our hearts. I want them to understand that the reason why I demand such a twist in tradition is because I love my father and as his daughter, it is important for me to do it. For my possible grievance, my peace of mind. I hope I can show them that it is people who make traditions and it is also people who can change them. I will ask my uncles what they would prefer, being guided by their own children or by someone else’s children. I will try to convince them that love, not money, is a good enough reason for something to be changed. Bika is child of a mixed marriage (Balinese – Dutch) born and raised in Indonesia. She went to school in Bali before finishing her undergraduate studies in Rotterdam, Netherlands. She is interested in cultural differences, religion influences, and social issues. I can’t read this comment section completely since its in dutch! However I hope my message gets to you. I too come from a mixed marriage. Dad is Manado-chinese and mom is from Japan and still in most parts of Asia and the world the males always get the priority. It has a lot to do with the “continuing the lineage” concept as you mentioned. Being educated in the USA and living abroad from many years coupled with my strong beliefs and in equality especially, I’ve been called stubborn and confrontational by many males in my family. Like you, I love and respect tradition and culture but the truth is in my family, its also my sister and me that are closest to our parents instead of our three brothers. So, I’d probably feel the same as you in this situation. I think that motivation for you to be financially successful in the hope it will give you more influence in this process is brilliant. Things change only when someone dares to challenge the status quo so good luck! Hope to meet you one day in Bali or Jakarta. “Love and Death in Bali, ” first published in German in 1937, is considered by many to be the finest novel ever written about this island paradise where everyone, regardless of caste or position, is woven into the fabric of an ancient culture, connected by customs and, above all, by strong religious beliefs. Now reissued in a completely reedited edition under its original title, with an introduction by anthropologist and award-winning author Nigel Barley.